In 2000 the vineyard and the land for this great winery were purchased. After careful nurturing of the vines and other farming methods the Crispino family acquired in Italy in the 1990’s the first harvest was completed in 2004. 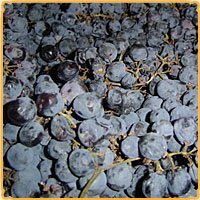 The winemakers of the winery use the time held tradition of Amarone, which is delicately drying the grape stock in the barn until the grapes are perfect for winemaking. The 40 acre vineyard is located in one of the finest wine growing areas of the Niagara Peninsula. The main varietals grown at this winery include the Cabernet Franc, Cabernet Sauvignon, Merlot, Pinot Noir, Chardonnay and Rielsing.